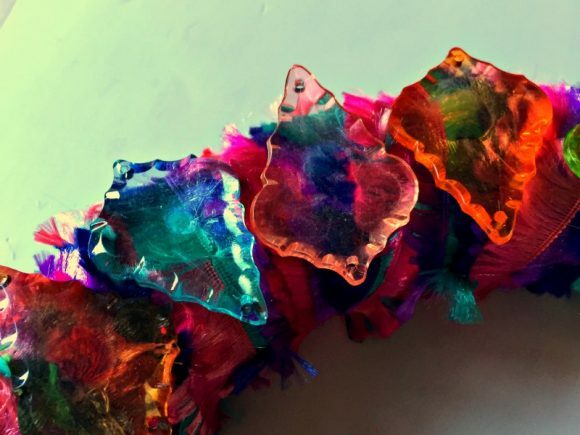 Have you ever succumbed to the siren’s song of novelty yarn? Today’s wreath project answers the age-old question “Now that I bought this novelty yarn that looked so cool in the store, what the heck will I do with it?” In an attempt to use the stuff in my stash, I created this Novelty Yarn Wreath, covered with plastic gemstones, and full of a kaleidoscope of jewel tone color. I originally gave this wreath two different names. 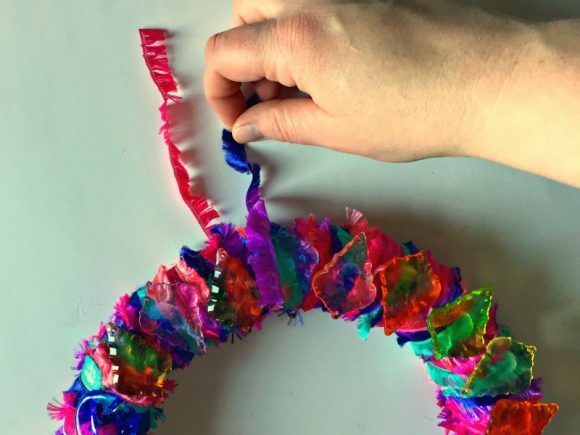 The first was “Psychedelic Bling Wreath” because this wreath is so colorful and flashy, and the second was “Tween Dream” wreath, which I think is its rightful wreath name. 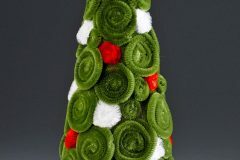 I would have LOVED to have this wreath in my room or locker as a tweenager! My seven year-old claimed this wreath as soon as he saw it. It’s very colorful and fun in real life. Photos don’t really do it justice. 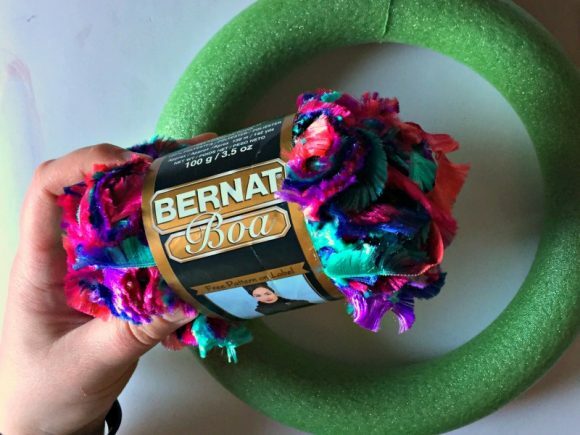 I found this Bernat Boa yarn in my Craft Hoarders Paradise (aka, my garage), and I knew I had to try to use it for a wreath. I’m just not sure what to use novelty yarn for in regular crochet projects! What do you use it for? This yarn is like a short, soft fringe with a very pretty colorway. *Items with an asterisk can be purchased at the dollar store. Sometimes you can find novelty yarn at the dollar store, too! I also frequently find yarn in large bags at Goodwill for a good price. 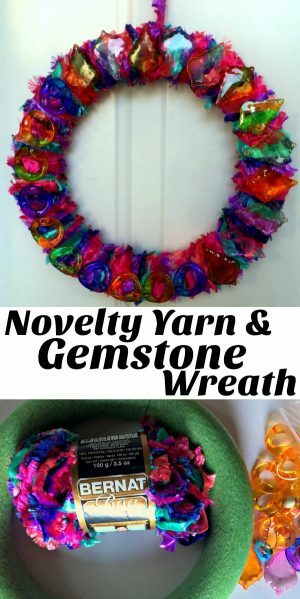 You can hot glue the end of the yarn to the wreath form, or simply tie it like I did. 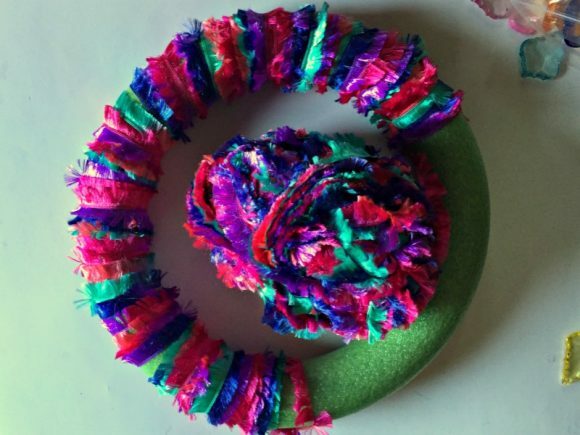 Then, start wrapping the yarn around and around the wreath form, overlapping as you go. If you are very detail-oriented, you might want the fringe to all face the same direction. I didn’t worry about it. I also didn’t worry too much about leaving small gaps because it was something I could go back and fix later. 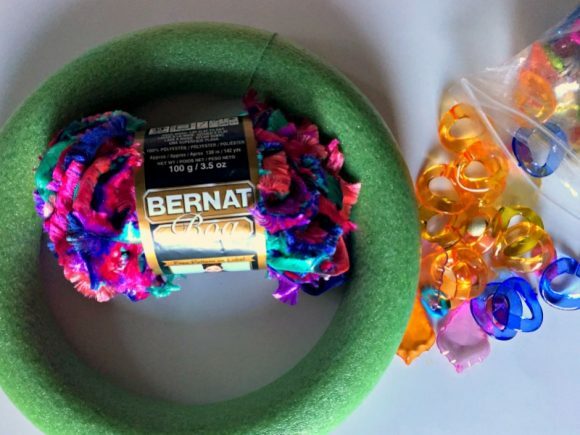 It takes about 5-10 minutes to wrap the yarn around a wreath form. It will take longer if you want to make sure the fringe all faces the same direction. 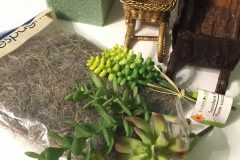 After you cover the entire wreath form, wrap a second time around the form, just covering the areas where there are gaps in yarn. 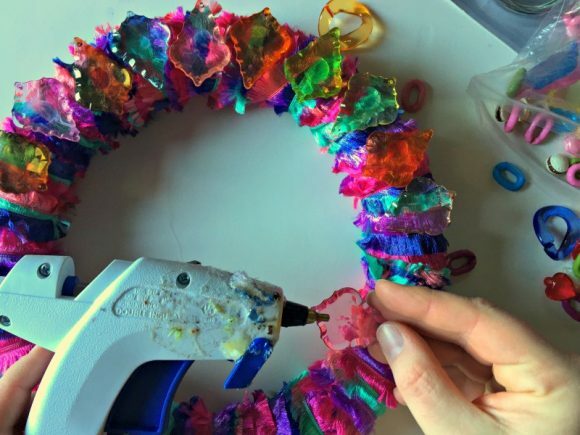 Fire up your hot glue gun and start gluing bling on your wreath. 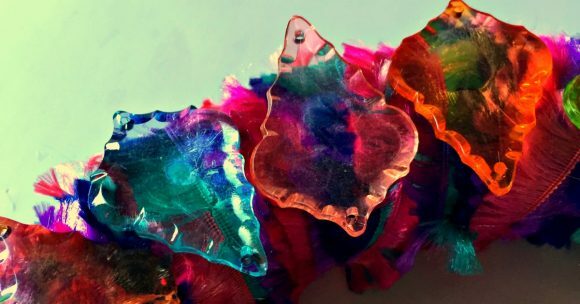 I used oversized plastic crystals that were shaped like arrowheads, and plastic chain links. You probably won’t be able to find the exact items I used, so just use dollar store rhinestones, or any other bling you have in your stash. Any kind of beads or buttons would work, too! I don’t think this part really needs its own official step in the instructions! 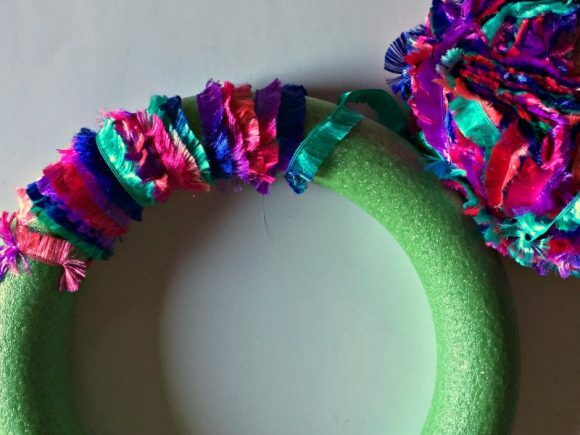 Just tie a piece of yarn or ribbon around the top of the wreath to give it a hanger. You’re totally done! 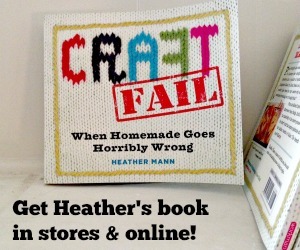 Now you have something you can make with your novelty yarn! 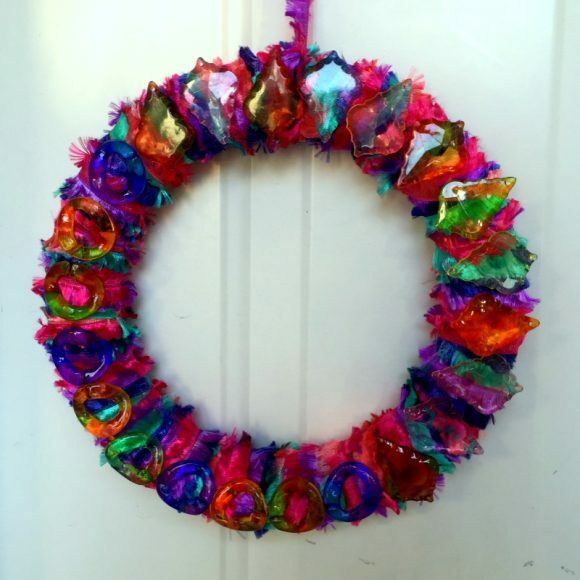 I love how colorful and shiny this wreath is. 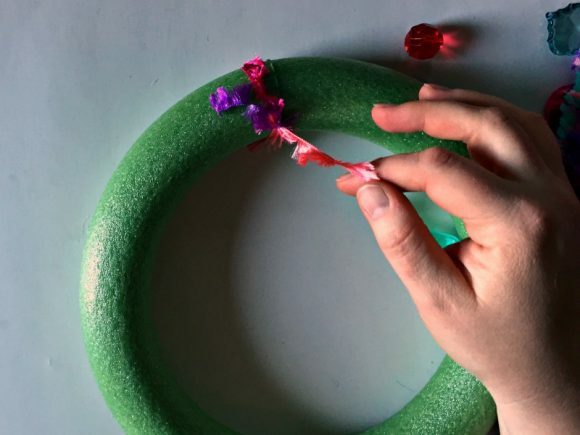 It’s a fun little wreath that takes about 30 minutes to complete. 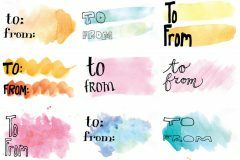 It would be a lot of fun to make on a tween/teen girls’ craft night. 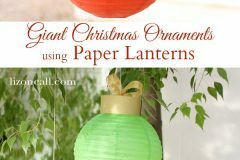 Follow along with my Wreath a Day project here!